This Magic Inkjet Flush Kit (Print head Cleaning Kit) is suitable to UNCLOG ANY CLOGGED Canon QY6-0080 iX6520 iX6550 INKJET PRINTER! 30mls (Concentrate) = Extra strength.IDEAL FOR clearing MORE DIFFICULT CLOGS ! SPECIAL ONLY $7.98 ANYWHERE (WORLDWIDE) BY PRIORITY AIRMAIL. For REGISTERED +$2.99 Please Order item No 360213674583. 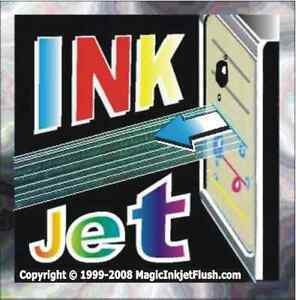 You will get all you will need to unclog ANY Canon Inkjet Printer - Print Head.